Revised National Tuberculosis Control Program (RNTCP) Modasa Published Recruitment Advertisement for District Programme Coordinator and District PPM (Public Private Mix) Coordinator Posts. 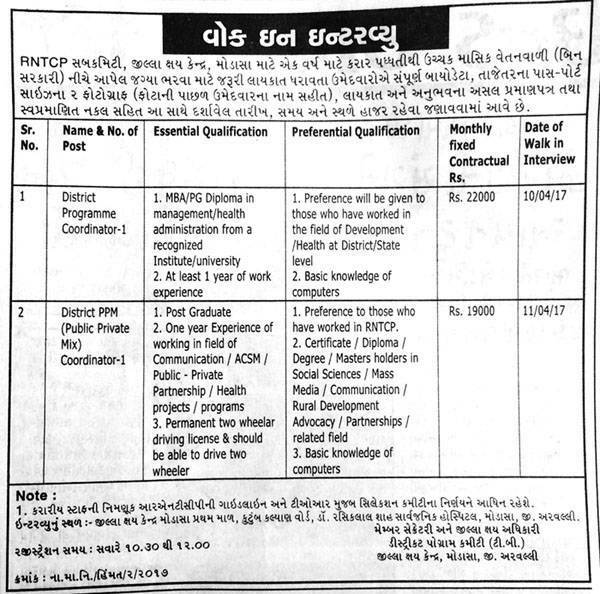 Walk In Interview Address : District TB Center, First Floor, Family Welfare Ward, Dr. Rasiklal Shah General Hospital, Modasa. Dist. Aravalli.